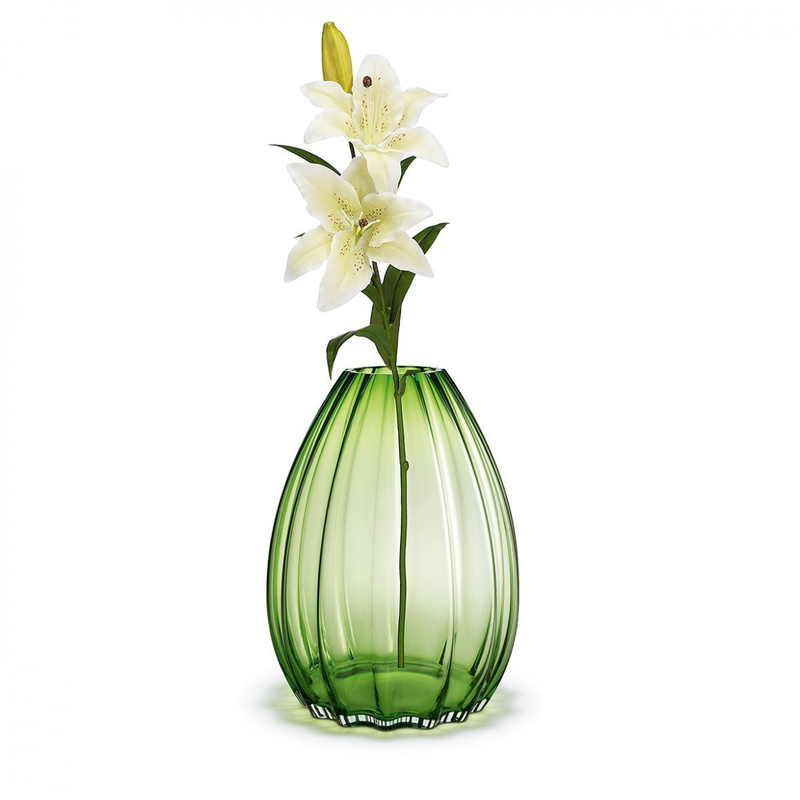 2Lips pot: a large tulip glass to customize your rooms. The 2Lips vase by Holmegaard is a floor vase, which means that it has been designed on purpose to be placed directly on the floor, and its height of 45 cm makes it a very special article also in size. 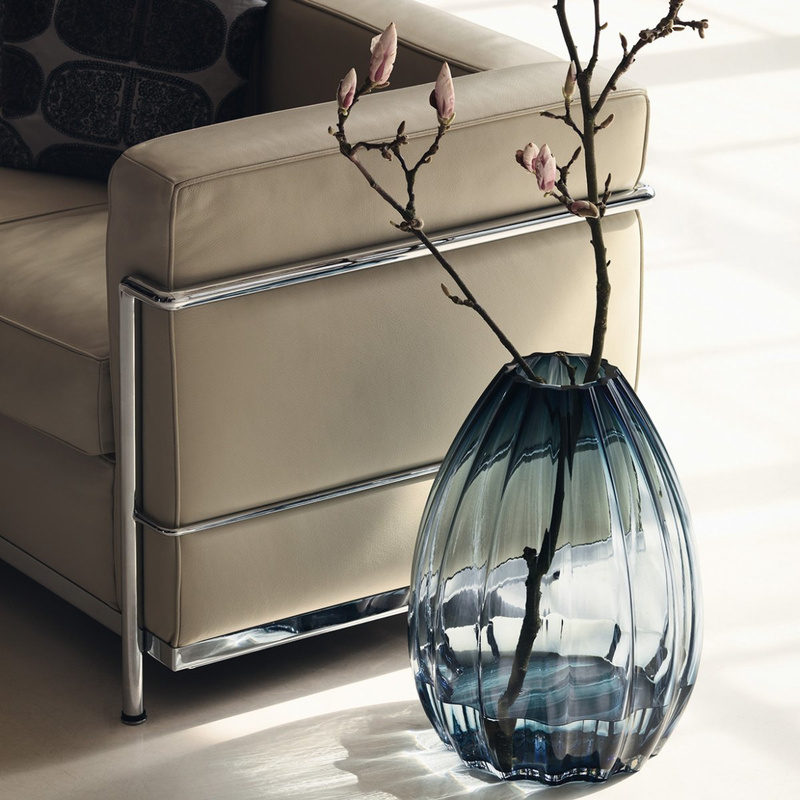 The floor vases are enjoying increasing success in the diverse world of interior design, and this creation by Holmegaard really has a great personality and a great visual impact. 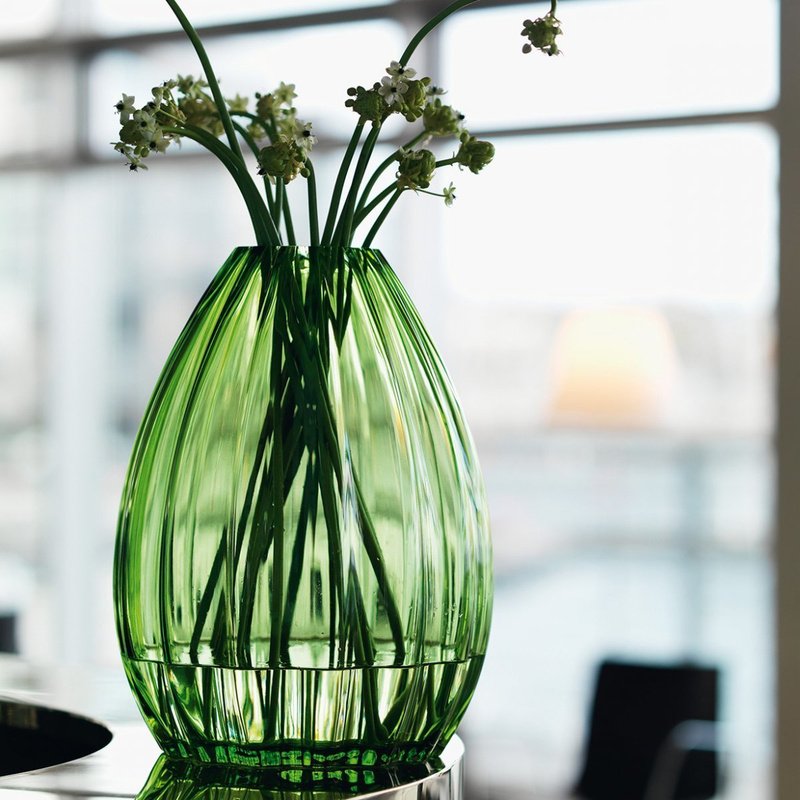 The well-known Danish brand has entrusted this creation to the designer Maria Kariis, who wanted to be inspired by the typical shape of the tulip. 2Lips presents the smooth flowing lines and particular shapes that recall, indeed, the classic petals of this flower with its peculiar charm and elegance. 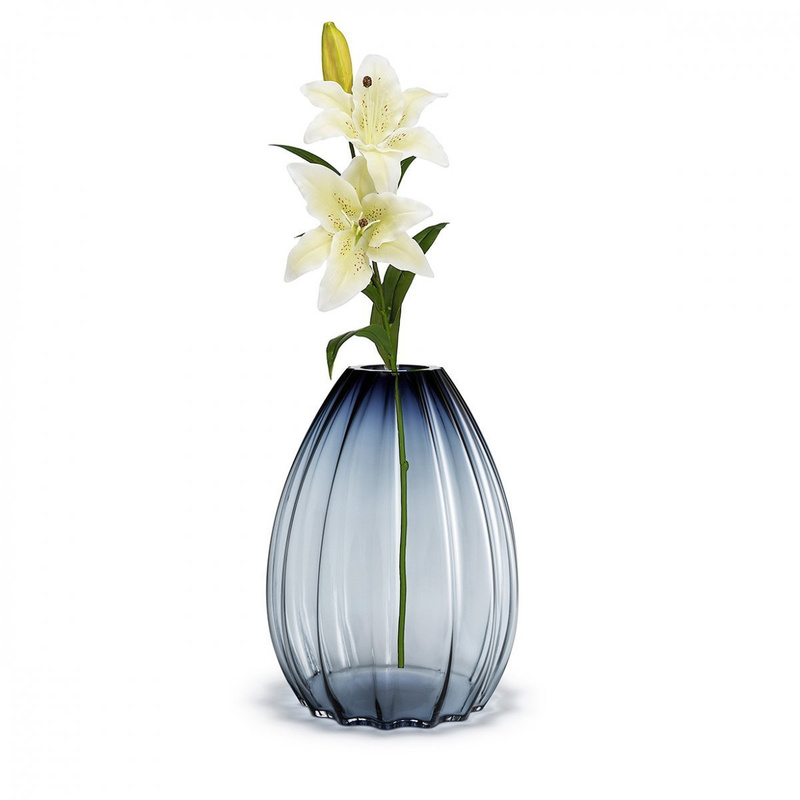 The Holmegaard brand has great experience in the glass making process, and the 2Lips vase is a clear example of it: this captivating creation associates in a masterly way the proverbial transparency of this material with the light but significant blue colour shades, very pleasant and restful. The 2Lips vase can be used in various ways, for example by placing inside it fresh or dried flowers or branches, but it could also be just left empty: its style does not need further details in order to reveal itself fascinating. Despite having a very bold and unique design, the 2Lips vase by Holmegaard can be placed with great versatility in different contexts. The 2Lips vase can be a wonderful and original gift idea, thanks to its high quality and stylistic versatility.